Am I missing a drain plug? Preface: I have an full-sized 1997 International 3800 with DT466e and Alison 4-speed auto transmission. I was crawling around yesterday underneath and noticed a hole in the center of the trans (see arrow in pic). It is particularly weird because I can see gear teeth through that hole, and I know mud/water never belongs around gears. I thought I was missing a drain plug or something, but the hole is NOT threaded. In fact, it is kind of rounded actually. There is some oil residue around it, but I have no idea what kind of piece would cover that hole at all other than like a rubber stopper plug which I've never seen on any engine ever. Any insight as to what this is? Nope, you're not missing anything. My bus has the exact same thing. 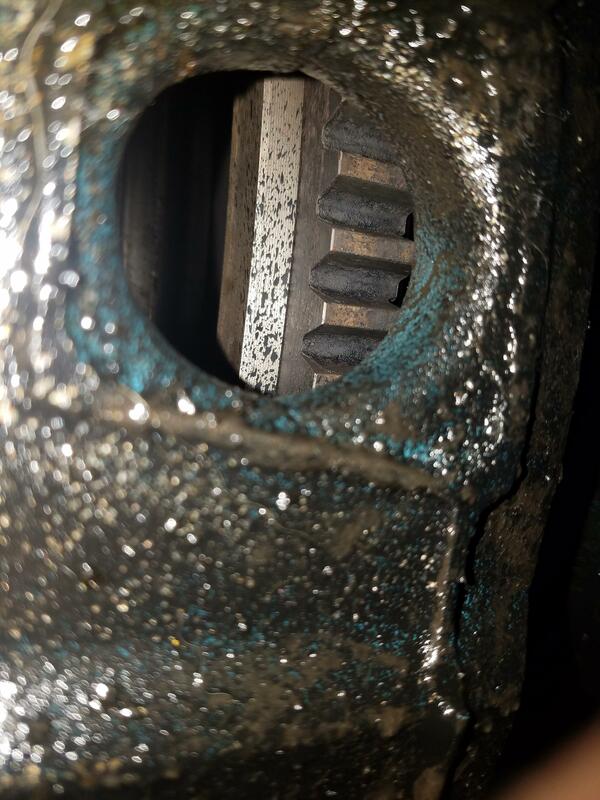 It's not unusual for flywheel housings to have an opening like that. Its so when the rear main goes out, you'll see oil dripping from there. Awesome, thanks guys! I was worried I was driving around on an empty trans or something for the last few months. 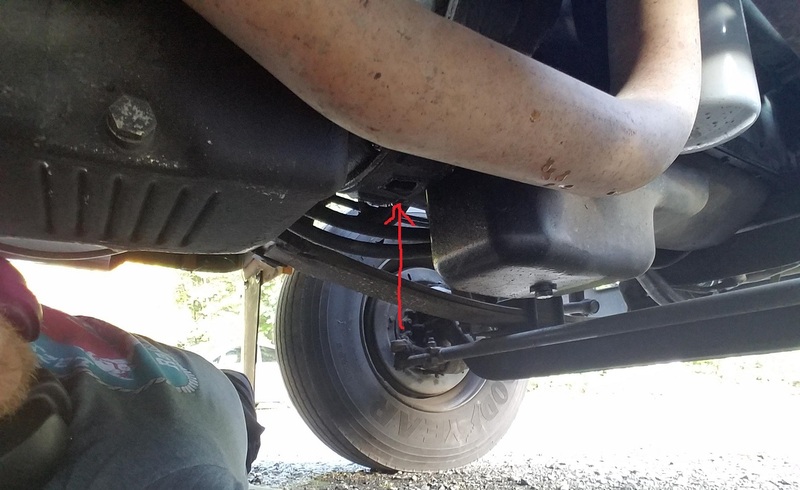 Inspection hole/ drain for torque converter (some). Should be a plug in there to keep out (in??) grime. I concur what they said I've actually seen some trucks with a hanging or dangling Grease zerk that goes up to the bearing in a manual transmission obviously you don't have one of them and I don't think your bus has a DT 466e the electronic model came after 2001 or something like that, right boys? the DT-466E was introduced in 1995 to normal production... you'll seem some busses up through 98. or so that still had mechanicals.. but also some 95's with DT-466E's in them. 97-99 saw the last of the mechanical injected engines. My 97 most were electronic, but a few mechanical buses from the really late 90's still pop up for sale. I know a guy who just got a mechanical 99 8.3 cummins in a 40' RE. All the 95's and most of the 96's I've seen are mechanical. That's good information thanks you two are the best researchers on them DT's I've ever seen, my 93 DT360 is mechanical and I knew that I just didn't know how late the mechanical DT466 went but I would like to get a DT466 non electrical as new as possible on my next rig.